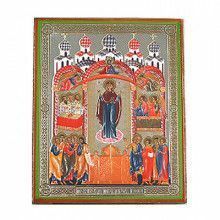 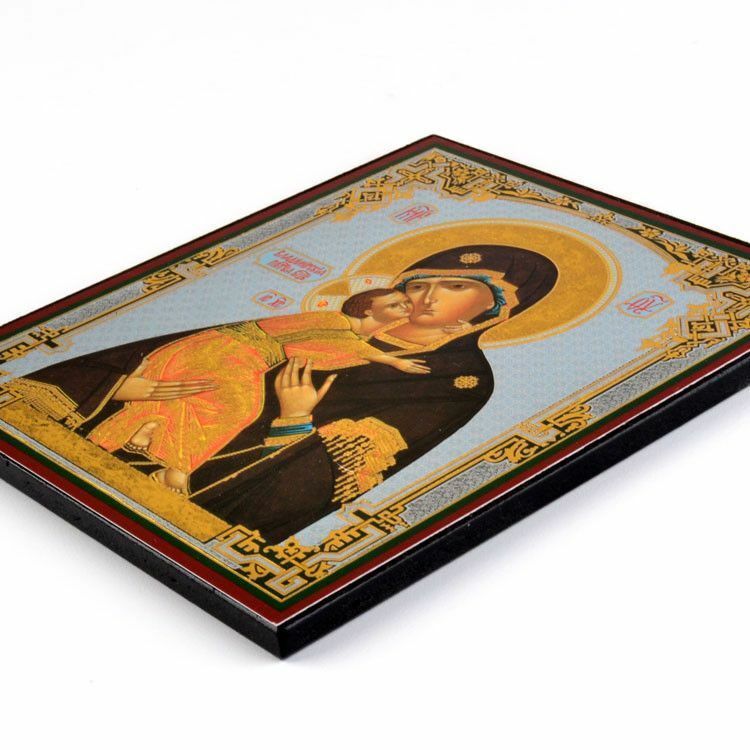 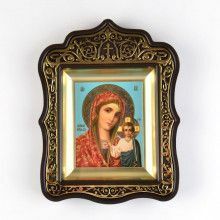 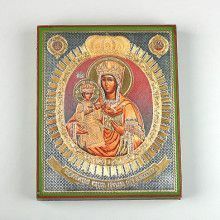 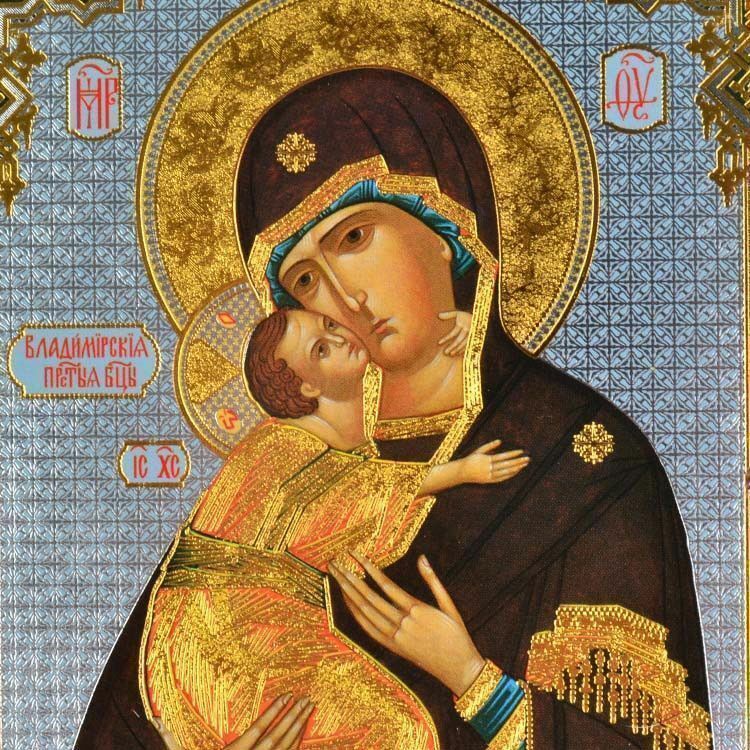 This icon of Vladimirskaya Mother of God on a particle wooden plate, accented with a silver and gold embossed background, is a beautiful find from Russia. 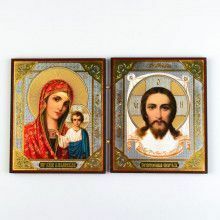 It was blessed by the Russian Orthodox church and bares the Sofrino trademark on the back. 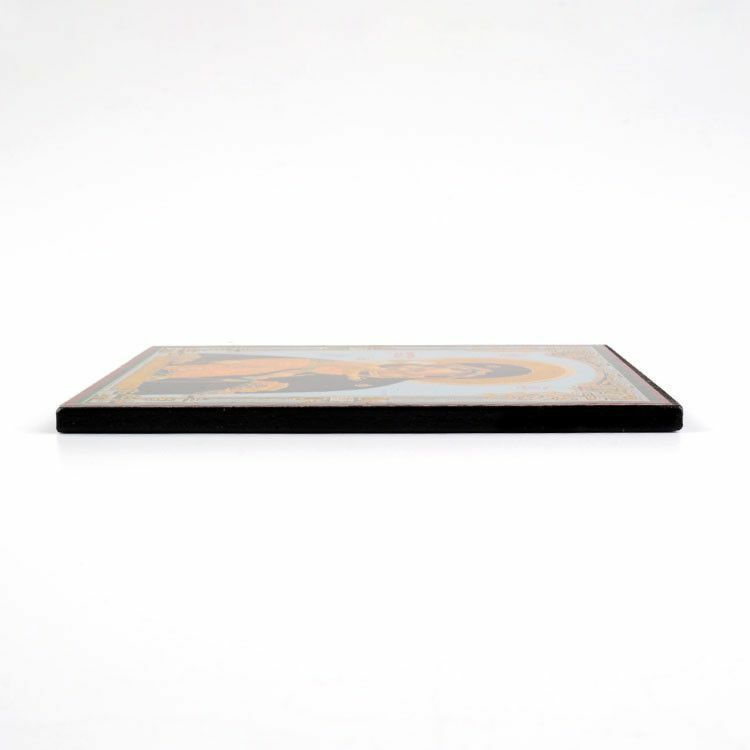 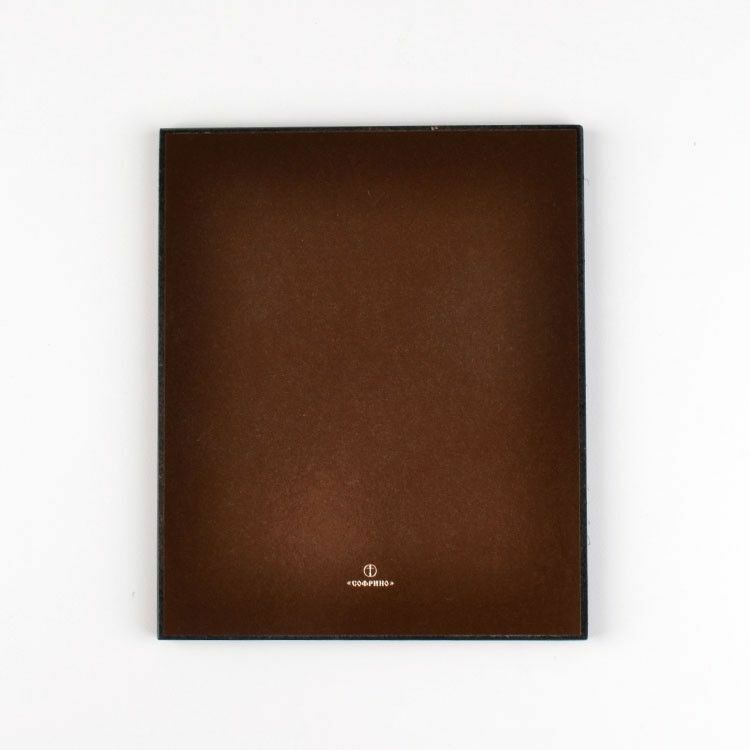 It is Approximately 5" x 4" in size.